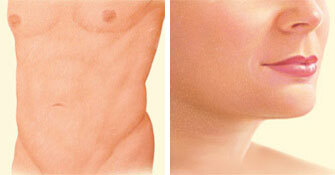 Liposuction surgery removes areas of unwanted fat with a tube and a vacuum device. is performed using intravenous sedation combined with local anesthesia while patients remain sleep during the procedure. Liposuction techniques, including tumescent or super-wet, typically are performed after targeted fat cells are infused with a saline solution containing a local anesthetic and adrenalin to decrease blood loss. Benefits of this liposuction technique include increased safety, easier fat removal, as well as diminished postoperative discomfort. This also reduces post-operative bruising and swelling. 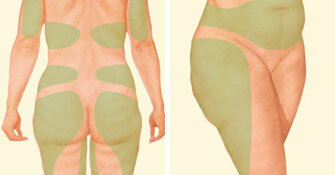 Liposuction is a highly individualized procedure. You should do it for yourself, not to fulfill someone else’s desires or to try to fit any sort of ideal image. If you are bothered by excess fat deposits located anywhere on your body that don’t respond to diet or exercise, liposuction may be right for you. Liposuction should be performed in an accredited office-based surgical facility, licensed ambulatory surgical center or a hospital. What are the steps of a liposuction procedure? Medications are administered for your comfort during the surgical procedure. The choices include local anesthesia, intravenous sedation and general anesthesia. Dr. Ricardo Vega will recommend the best choice for you. First, diluted local anesthesia is infused to reduce bleeding and trauma. Then a thin hollow tube, or cannula, is inserted through the incisions to loosen excess fat using a controlled back and forth motion. The dislodged fat is then suctioned out of the body using a surgical vacuum or syringe attached to the cannula. Your improved body contour will be apparent once the swelling and fluid retention commonly experienced following liposuction subside. 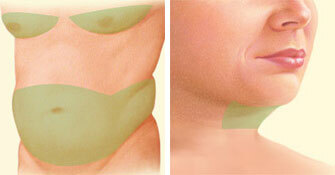 Get more information about liposuction results.